What’s music without an audience? Unless you’re making ungodly incantations in dark rooms your music deserves an audience. What better way to get an audience than at live shows, but live shows aren’t easy to come by. Well a door has been opened by the BigShots head producer Klasiq through the Can You Kick It? Series of concerts. A chat with the BigShots ….. yielded the following information. 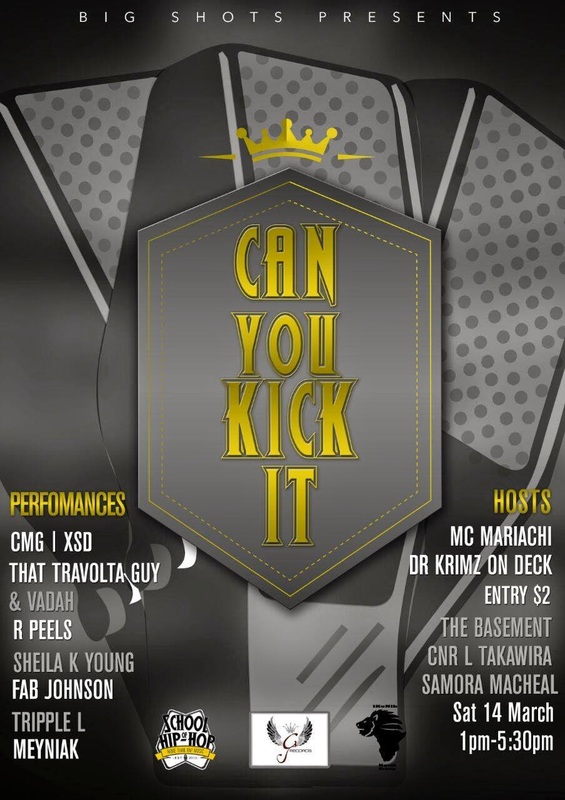 Can You Kick It is a hip hop show which happens at least once a month, where artists and listeners get together and vibe to their favourite local music, live performances from a lot of talented artists, both new comers and seasoned artists. The idea for this series of shows came about when Klasiq saw the large amount of talent who came to the studio who did not have the exposure to get on stage and perform and showcase their material to a live audience. 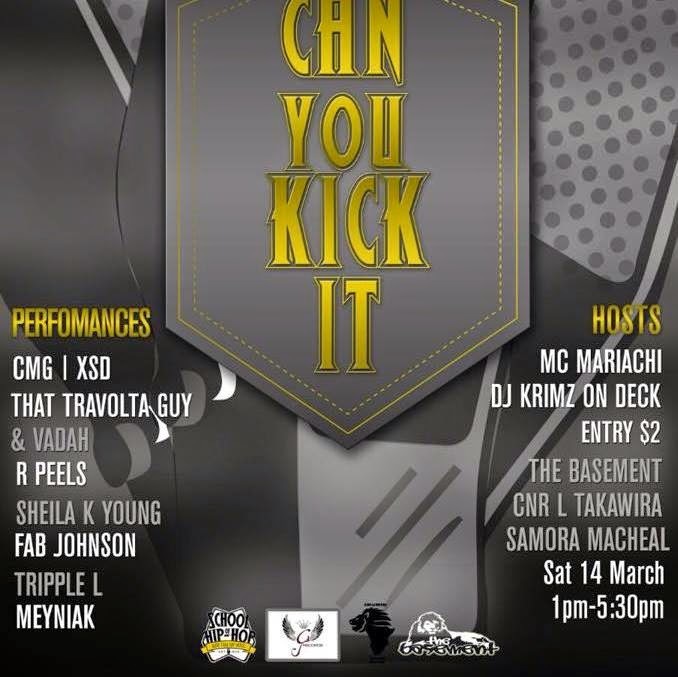 Artists who want to perform on future shows can get in touch with Klasiq on +263775 491 109 or the "Can You Kick It?” Facebook page.